Author Margaret Atwood will recieve this year's St. Louis Literary Award on Tuesday, September 19. 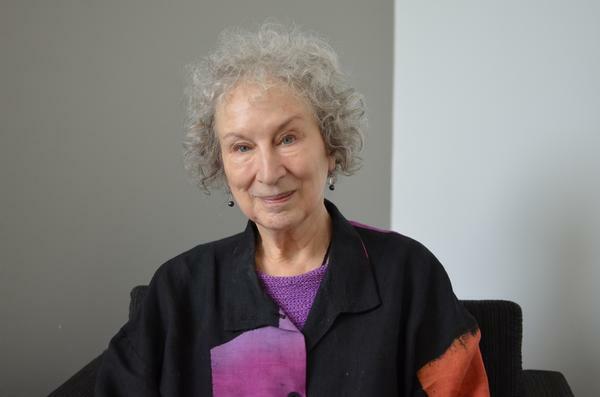 On Tuesday’s St. Louis on the Air, iconic author Margaret Atwood joined the program to discuss her career and legacy with contributing host Steve Potter. Most prominently known as the author of the feminist, dystopian novel “The Handmaid’s Tale,” Atwood has written 16 novels and many other pieces of short fiction, children’s books and poetry. On Sunday, "The Handmaid's Tale" television series won five awards, including Outstanding Drama. Atwood was a creative consultant on the show and attended the awards. Atwood is in St. Louis to receive the 2017 St. Louis Literary Award, which is awarded by the Saint Louis University Library Associates. It has been given every year since 1967 to a distinguished figure in literature. Although several other visiting performers have canceled appearances in the region over protests after the Jason Stockley verdict, Atwood did not cancel her appearance tonight. "I think you've got two choices," Atwood said. "One would be to not show up and the other would be to show up and say something. I would rather show up and say something." She said that her visit gave her a reason to discuss issues that are prominent in her novels, like civil disobedience and police militarization. "I think in that frame it is important to say: what is happening to our educational system, among other things? Let's learn about police states," Atwood said. "A police state is a state in which the police decide who is guilty and who they will shoot. If you allow that to happen, you are on a step to a police state. One way we can find out about police states is to read about previous ones." Atwood said she would address the Stockley verdict and ensuing protests in her speech to the St. Louis Literary Award audience at the Sheldon. "I'll also mention this is the home of Josephine Baker, and she definitely would have something to say about this," Atwood said. Iconic author Margaret Atwood discusses her career, "The Handmaid's Tale," and receiving the 2017 St. Louis Literary Award with St. Louis on the Air contributing host Steve Potter. When: Tuesday, Sept. 19 at 7 p.m.